Introducing... Kaliq! A rapper that hails from the West Coast of the States that has released his brand new album Pharaoh Music (Deluxe Edition) and the video to the lead single off the album 'Fighting'. Kaliq who simply just goes by that name is a San Diego born, South Central bred MC with driven talent which he portrays in this new album. 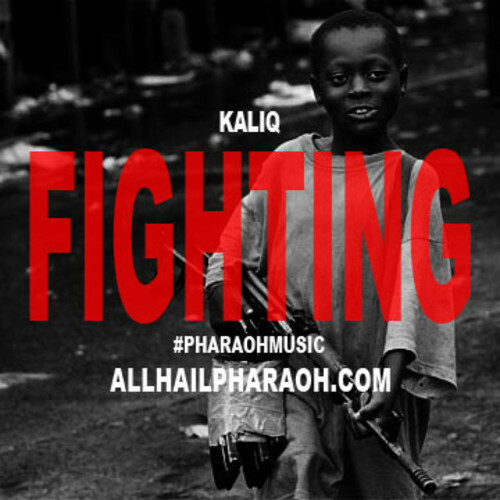 'Fighting', the dynamic single off his forthcoming album, Pharaoh Music The Deluxe Edition, is a verbal journey through the mind of the San Diego born/South Central bred new millennium revolutionary MC and is only enhanced by the track's visual. Kaliq's verbal dexterity is reminiscent of that of a Golden Era vet coupled with the overtones of a Nation Of Islam minister, which was naturally picked up from his Muslim upbringing. Kaliq is a hip hop artist who was introduced to hip hop from his Father - a Nation of Islam minister - Jamal Muhammad. He was introduced to the likes of Wu Tang, Common, Nas, James Brown and Lauryn Hill at a young age - instilling in him the pro-Black, positive themes that still resonate in his music today. Currently residing in Phoenix, Arizona - Kaliq has made a name for himself in the hip hop industry as he dropped 10-well-received projects in Arizona which gave him the opportunity to write songs for the legendary - Dr. Dre in Los Angeles. Through his music, Kaliq portrays a positive vibe and also lives that way along with a healthy lifestyle everyday. 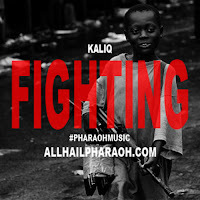 Kaliq features the likes of Joe Budden, Maino and Sadat X on the new album - which is available for download here. Watch the new video to his single 'Fighting' below.